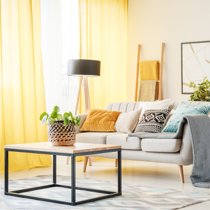 Create the Home You Always Wanted Today. 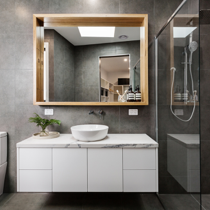 Home remodeling is a combination of inspiration and execution that transforms a homeowner’s dreams of the perfect kitchen or bathroom into a livable reality. 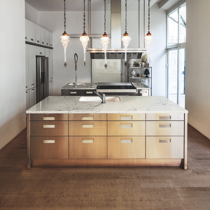 For nearly two decades, Granite Outlet Kitchen & Bath Design Studio has made those dreams come true. 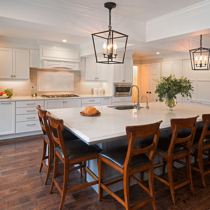 We have completed more than 20,000 kitchen and bathroom remodel projects for clients throughout Maryland, Virginia and the Washington D.C. metro area — and we’re doing more every day. 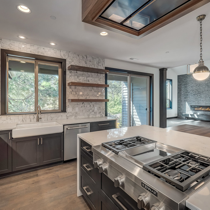 Our team of licensed and accredited kitchen and bath renovation experts is comprised of design specialists, master craftspeople and precision installers. 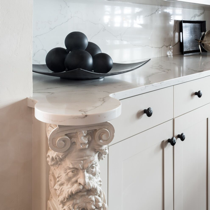 Our depth of artisanal talent makes us a go-to resource for the full scope of your kitchen or bathroom remodel project. 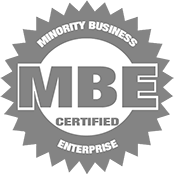 We develop a true partnership with our clients. The expertise on our staff goes beyond the materials necessary to complete the job. 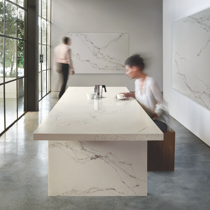 Let’s discuss your goals, your existing space, your budget, your timeline and the materials you want to use. We’ll begin from the ground up to help give your home the charm, character, update and new functionality you’re looking to add. 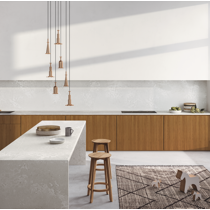 We bring all the pieces together with a clear plan of execution: cabinets, countertops, flooring, lighting, fixtures and our incomparable installation service. 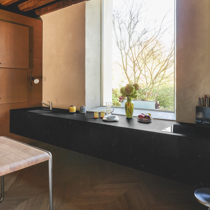 Work with your Granite Outlet Kitchen & Bath Design Studio design expert and explore our showroom to find the products that suit every design need and budget. Initial consultation. We discuss project design motifs, budget and scope. Design process. All the daydreaming comes to life. 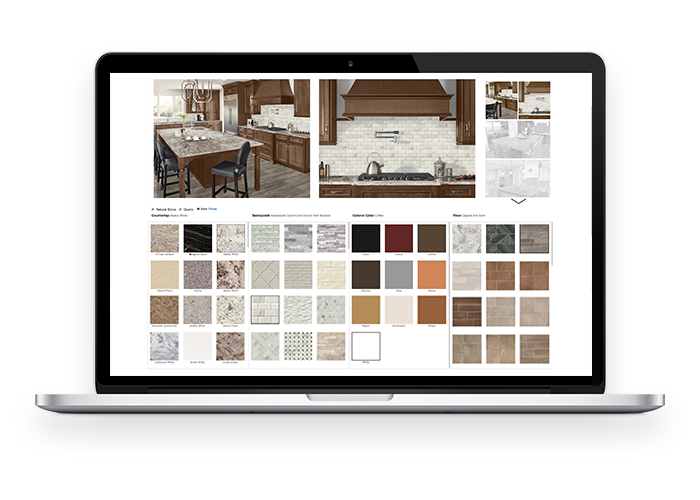 Selected components come together and are displayed in a 3D image so you can visualize the finished space. Installation. 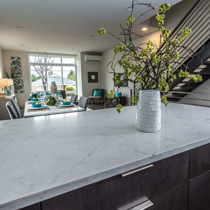 We schedule your installation and coordinate with your Granite Outlet Kitchen & Bath Design Studio design consultant, project manager and licensed installers to execute according to the approved plan. Finishing touches. We make sure you are 100% satisfied. 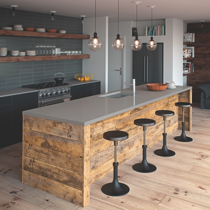 Your kitchen is the hub of your home. We know how important it is for this space to be functional, inviting, comfortable and engaging. 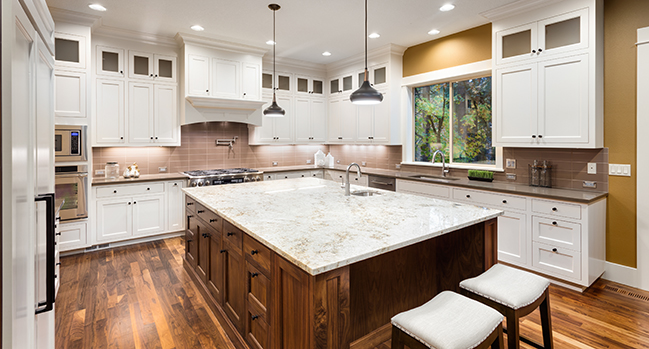 We can provide the design and supplies for anything from a small kitchen remodel to a major transformation of a large, elaborate space. 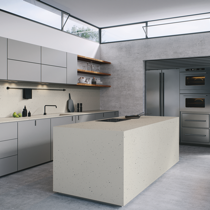 Explore our wide variety of materials to transform your kitchen at the intersection of style and durability. 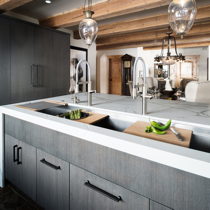 Kitchen and Bath Design Studio is your one-stop resource for kitchen remodeling in the Maryland, Virginia and Washington D.C. area. 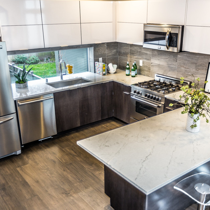 If you’re looking for a kitchen cabinet remodel, or kitchen countertop remodel, or an entirely new kitchen altogether, we can get the job done. 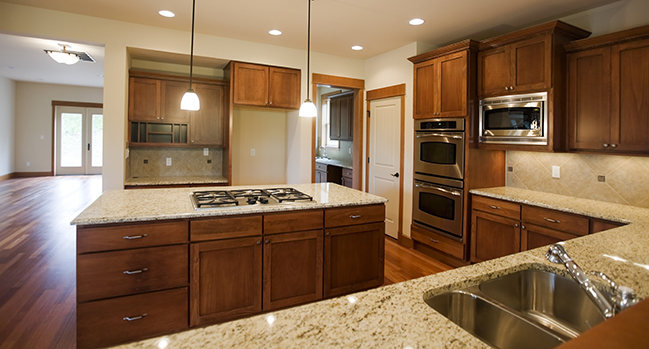 We welcome the opportunity to be your experienced kitchen renovation and remodeling partner. 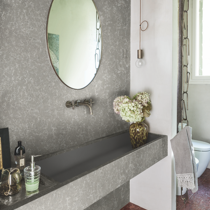 Everybody needs an awesome bathroom. 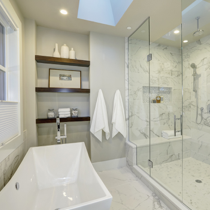 Bathrooms play a key role in your family’s comfort and your guests’ enjoyment of your home. 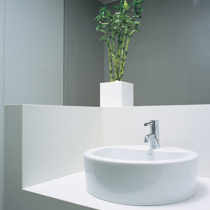 Every bathroom in your house must have a balance of tasteful design elements and effortlessly functional features. 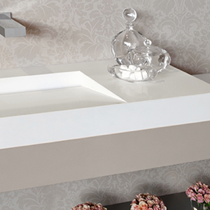 You’ll experience our wide array of materials to make each piece of your bathroom exactly what you’ve always wanted. 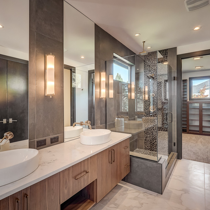 Our expertise ranges from a long-overdue basic bathroom remodels to full, luxurious bathrooms that make you feel like you’ve stepped out of your home and into a five-star resort. 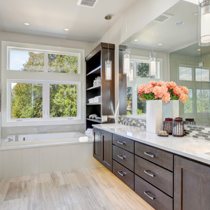 Kitchen and Bath Design Studio is your go-to resource for bathroom design, renovations, remodeling, extensions and more. 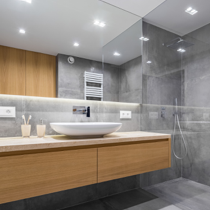 Let us give you the full-service bathroom remodel you’ve always wanted and transform your space. 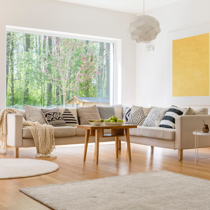 Completely transform your home’s interior. 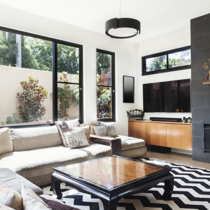 We work with you to design and plan your renovation, incorporating the specific elements that you and your family want while aligning all of your exciting new ideas with your home’s existing structure. 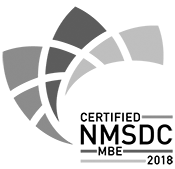 Work with Kitchen and Bath Design Studio for home additions, finished basements, finished attics or custom built-ins to name a few. Our design and installation teams work hand-in-hand to make your vision attainable, affordable and absolutely beautiful. 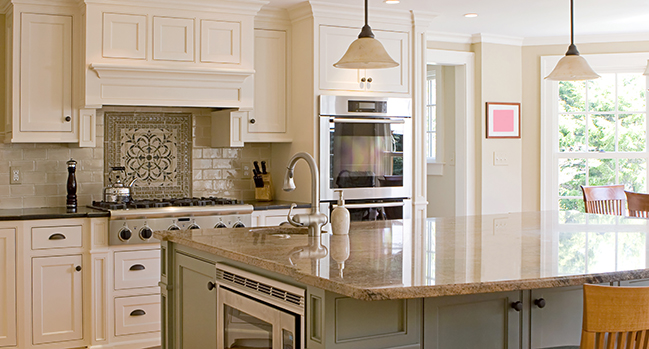 Your full-service kitchen and bath remodeling partner for home remodeling projects in Maryland, Virginia and the Washington D.C. metro area.